We are excited and feel very blessed to announce that an incredible, bighearted sponsor/donor (who wishes to remain anonymous) heard of our need and stepped forward to meet it for us! Below is the vessel transport design that is currently under construction in Nadi, Fiji (delivery date of June 1st) that will join and complete our "Sea Bridge" Fleet program. 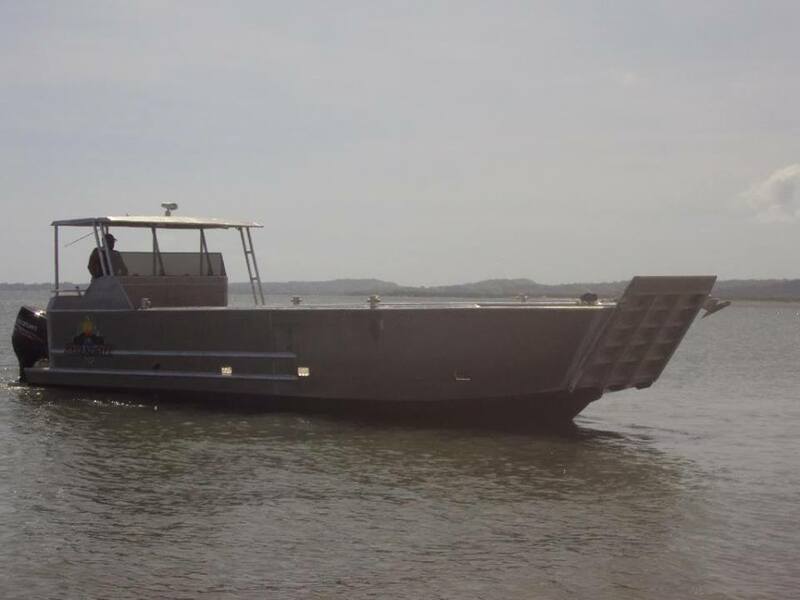 This Landing Craft vessel will allow us to access every one of our remote island lagoons in order to deliver the much needed heavy supplies and equipment that will help to quickly return these remote island villages to the thriving and self-sustaining communities they were before the destruction of Cyclone Winston. This transport vessel donation is a "game-changer" for our disaster recovery operations and will help us shorten the remote islands rebuilding and recovery time by ten-fold or more! Please join me and thanking this incredible donor for their support of Sea Mercy's Sea Bridge program and their love for the people of the South Pacific. A huge “thank you” to all of you who have volunteered to be a part of the Sea Mercy Disaster Recovery Fleet in Fiji. 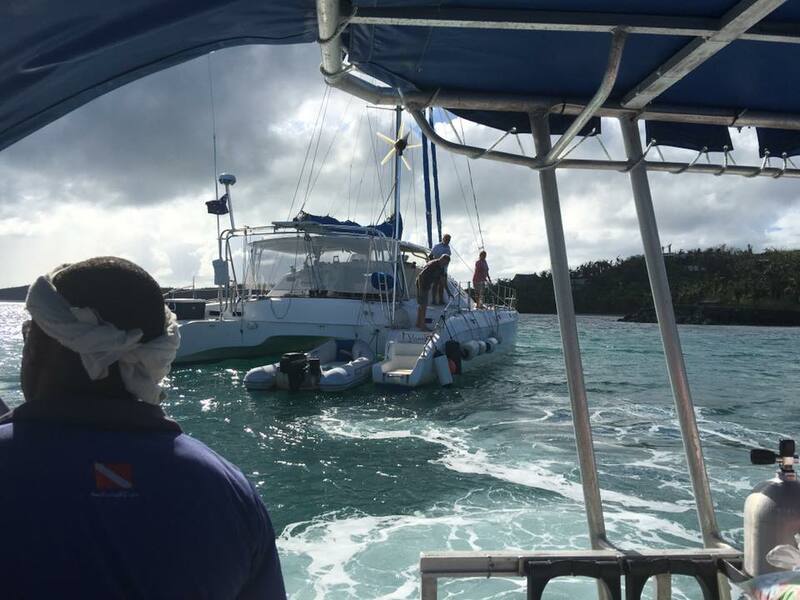 So far, thirty skippers have volunteered their vessels and crew to be a part of our long-term recovery efforts here. 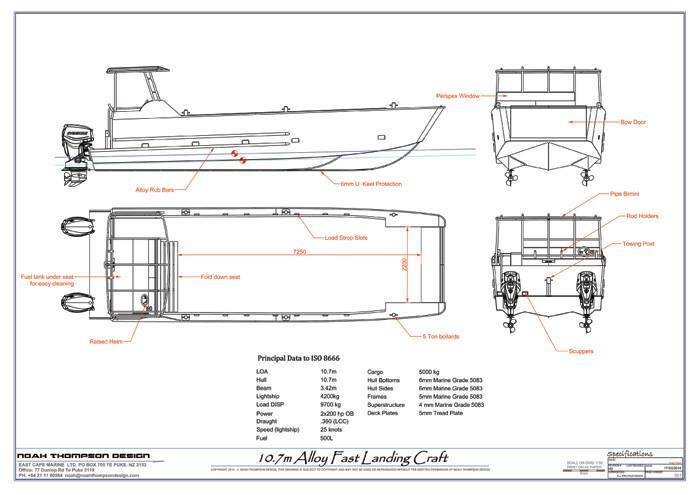 Recovery efforts are planned to continue throughout the cruising season and there are many ways to help even on a short-term basis. 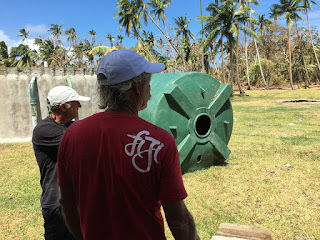 So, even if you are not planning to head for Fiji immediately but think you might "swing by" later on and want to contribute to our efforts, please contact us at coordinator@seamercy.org. 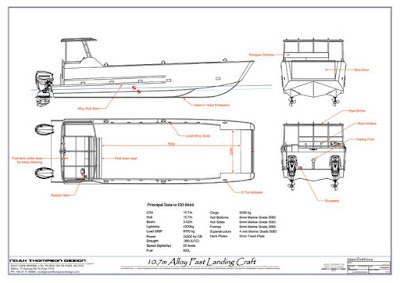 The following video will give you a quick look at what you can expect to be doing as a part of the Sea Mercy Recovery Fleet. Thank you Cassidy for all your creative efforts. 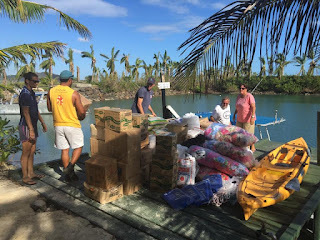 Thank You Clark James & Friends of Taveuni Relief! 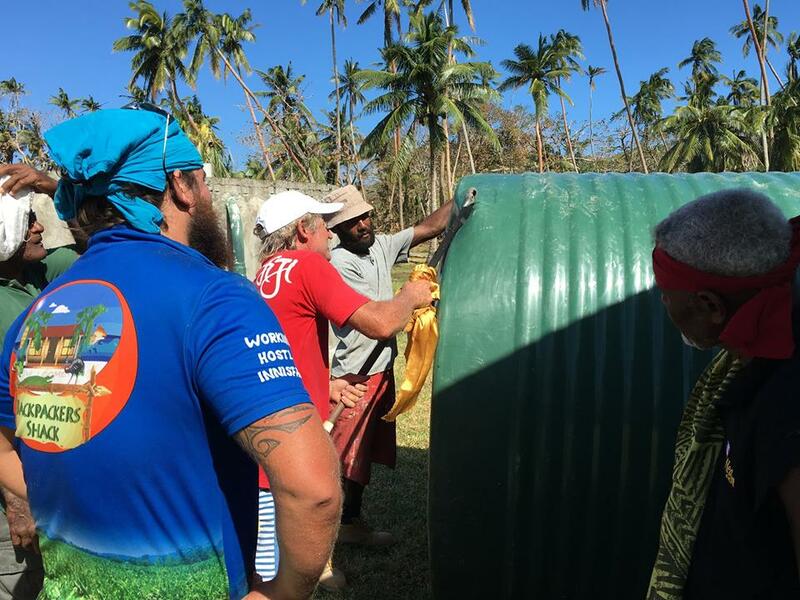 A special "thank you" goes out to Clark James for his heart for the people of Taveuni, and to those who have given of their hearts and finances to support his effort to make a difference in Fiji following Cyclone Winston. As the director of those funds, Clark has selected Sea Mercy as the recipient of your gifts in order to best utilize them for maximum assistance. Visit Clark James' Go Fund Me page to read more about the factors that influenced his decision to entrust the fruits of efforts to Sea Mercy. For as long as it takes, Sea Mercy is committed to the rebuilding of Taveuni and the hundreds of other devastated remote islands, returning them to the thriving, loving communities they were before Winston. Sea Mercy's Global Mercy Armada program (www.seamercy.org/gma) will be one of the next of many steps to help the often forgotten remote island people of the South Pacific. 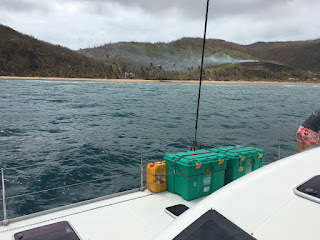 Sea Mercy has just completed 3 weeks of Emergency Response work following the devastation caused by Cyclone Winston to the Island Nation of Fiji and her 300+ remote islands. 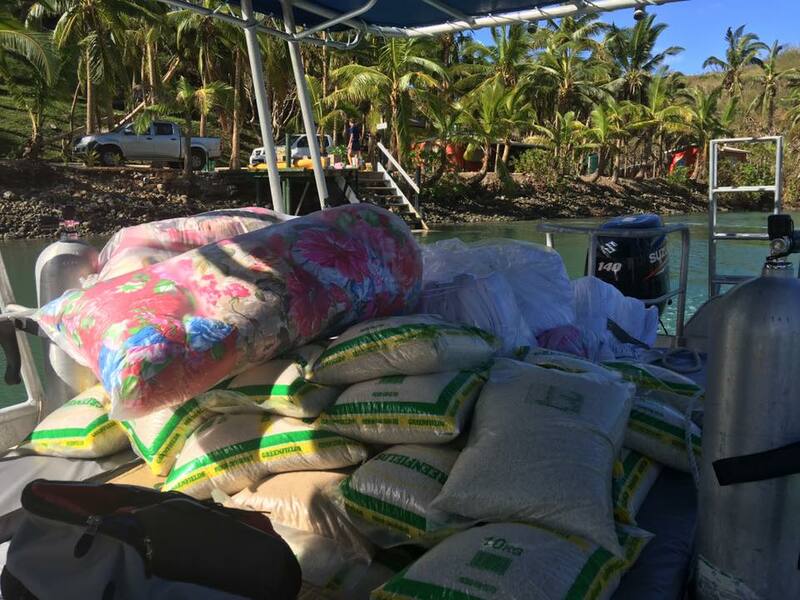 During that time, we had 8 Sea Mercy vessels that delivered over $460,000 in aid to the islands and villages in the remote eastern Lomaiviti & Lau Groups, and Taveuni and the western Yasawa Group. 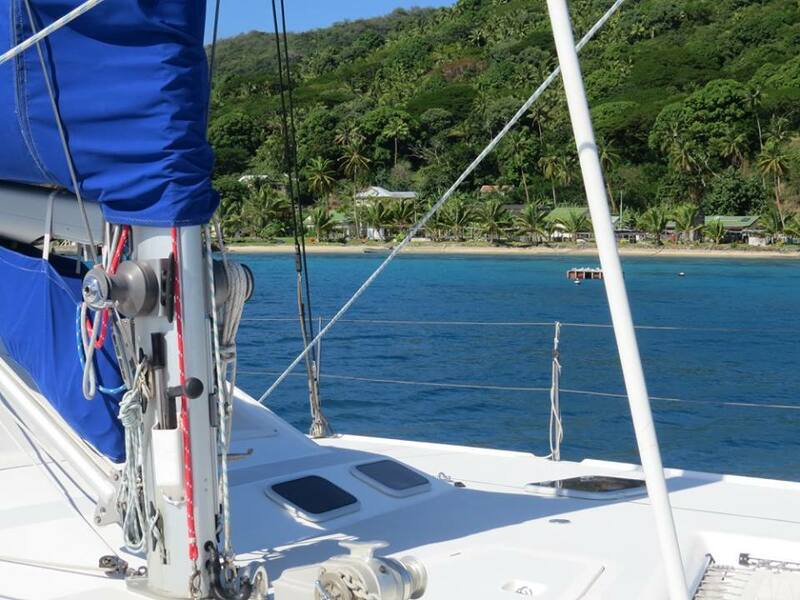 We are very excited to announce our "Sea Bridge" recovery program for the remote islands of Fiji following TC Winston. This program will be addressing the four primary recovery needs (water, shelter, food and medical) and to quickly return them to the thriving communities they once were. With no roads to connect the remote island communities, our volunteer yachts and dedicated transport vessels become the "Sea Bridge" to the aid and assistance they need. Follow the link to learn more about the program and how to get involved. We will be building Sea Bridge volunteer teams and vessels to join us from June through October, so if you want an incredible experience, contact us. It is so encouraging and refreshing to have one of our international aid Non-Government Organization (NGO) partners (ShelterBox) acknowledge Sea Mercy's role and support of their relief programs. Because there is such a battle over international attention and who gets the credit following natural disasters, it is rare for international NGO's to acknowledge the smaller "blue collar" NGO's like Sea Mercy who work tirelessly for them behind the scenes to deliver their aid to the remote islands. 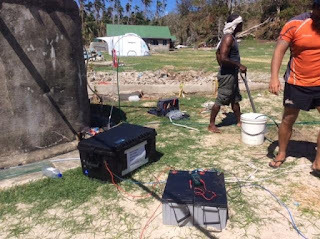 In Tonga, following Cyclone Ian in 2014, and in Vanuatu following Cyclone Pam in 2015, our vessels spent months delivering the international NGO's land-locked aid sitting on the primary islands to the hundreds of remote islands, with rarely a mention in their reports or even a thank you. "Thank you" ShelterBox for being different. 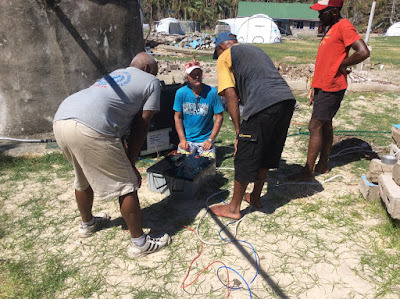 Fortunately our Sea Mercy volunteers and vessels do not give of their time and risk their vessels for the fame, we do it for the people that we love in the South Pacific. However, it is always encouraging to hear from our partners that they appreciate our help. All the best to you and your efforts around the world and we value your partnership. 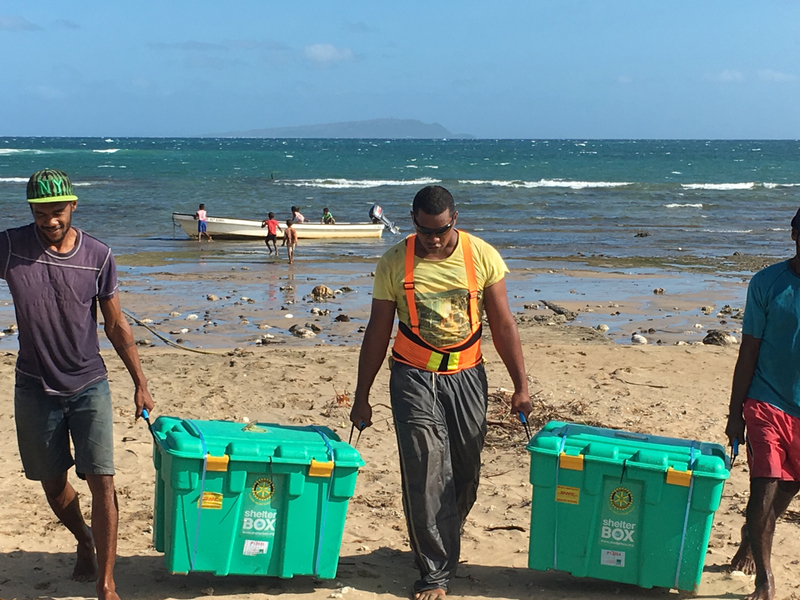 See the full story by ShelterBox under the "Sea Mercy in Action" section of this blog. 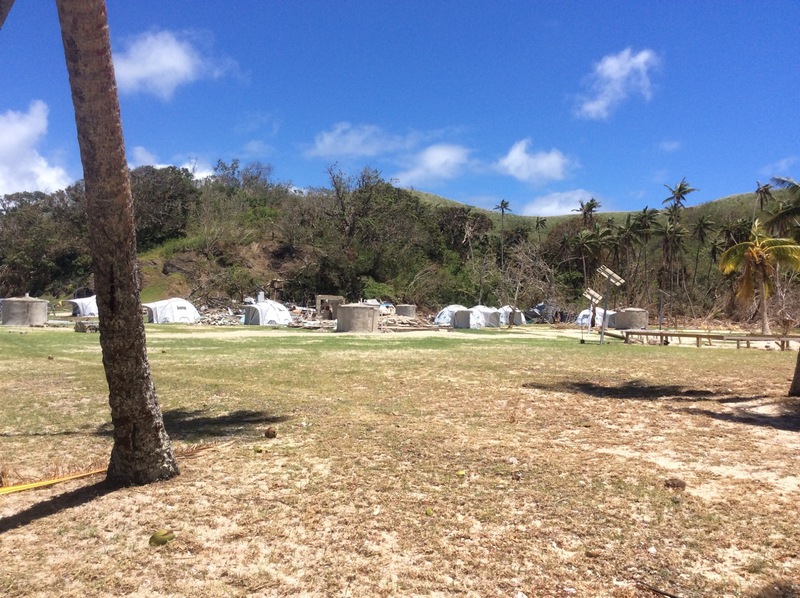 Sea Mercy Watermaking Systems and ShelterBox Tents Are Making A Huge Difference!! 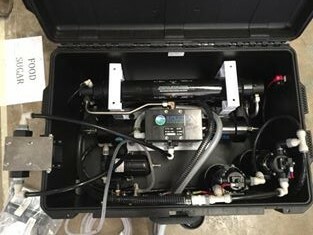 At present, we have three watermaker systems in the field and more are due to be installed next week after we have built additional solar power systems to operate them. 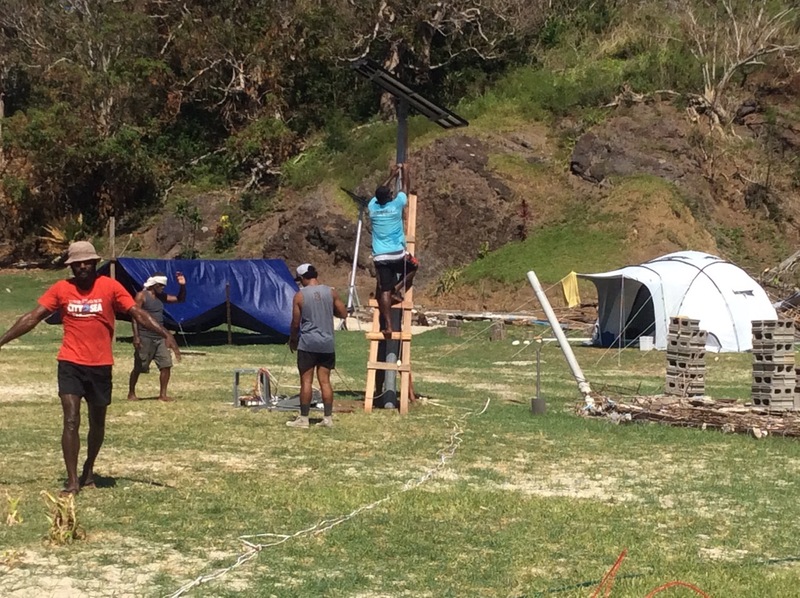 Currently they are installed on Makogai, Batiki and Motoriki in the Lomaiviti Group. 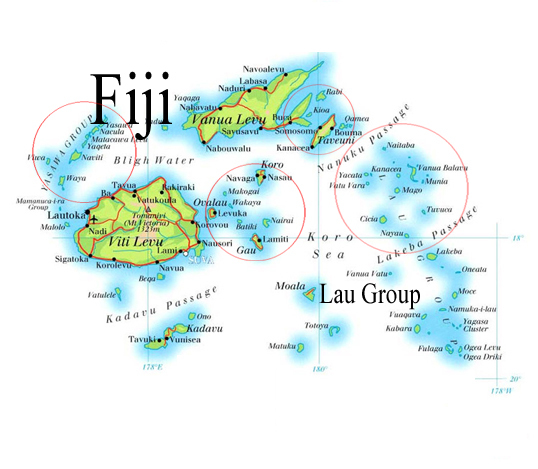 These islands are located between the main island of Viti Levu and the Lau Group. The watermakers have been very well received and the amazement and thanks from all ages when they got their first drink of fresh water was overwhelming. They are and will continue to make a huge difference. 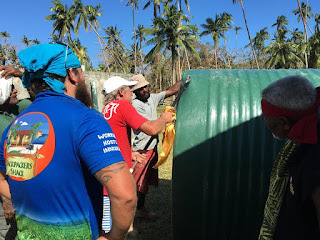 Below are some pictures of the installation of these desalinization units as well as the ShelterBox tents that we are delivering and installing in the remote islands. 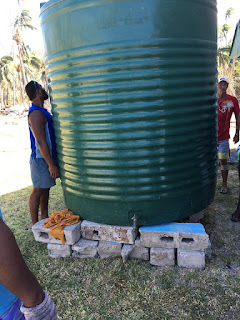 See the "Feature Post" on this page for details of our first watermaker installation in Batiki. Since then, we have also installed a solar-powered watermaking system on Makogai. 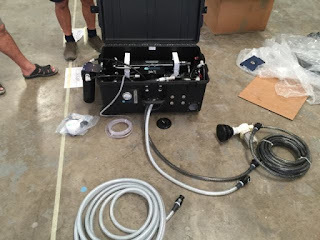 We have 6 more watermakers to deliver but do not yet have the funds needed to to acquire the necessary solar panel and accessories required. The cost of each solar power system is $6500. Clean drinking water is essential for health and is the number one priority after any disaster. Your donations will allow us to provide these remote islands a reliable source of clean drinking water. Please donate using the PayPal button on this blog or on Sea Mercy's website. Plenty of sunshine to power a watermaker here in Fiji!! Fiji Sun Article: " Sea Mercy First to Respond and Last to Leave"
A wonderful article in the Sunday edition of the Fiji Sun showing the incredible work our captains and volunteer crew and staff are doing in Fiji (and her 300+ remote islands) following Cyclone Winston. 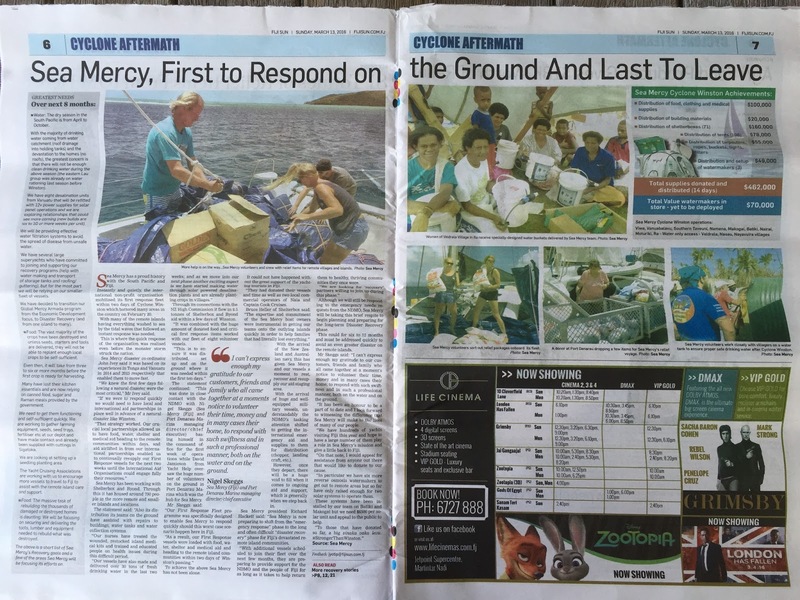 Read on the full article on-line "Sea Mercy: First to Respond On the Ground & Last to Leave" . 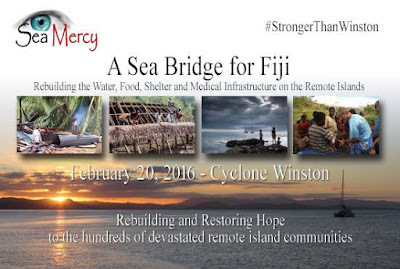 It is amazing to see the impact that Sea Mercy has had on so many lives on the remote islands. We will be shifting our programs from "Emergency Response" to the more important and long-lasting "Disaster Recovery" efforts (6-12+ months). Rotary Global Grant for Sea Mercy's Fiji Recovery Program! Rotary International's "3-1 Donation Matching" program can turn every dollar donation into four! Fern Ridge Rotary Club is applying for a Rotary Global Grant under their Economic & Community Development criteria. 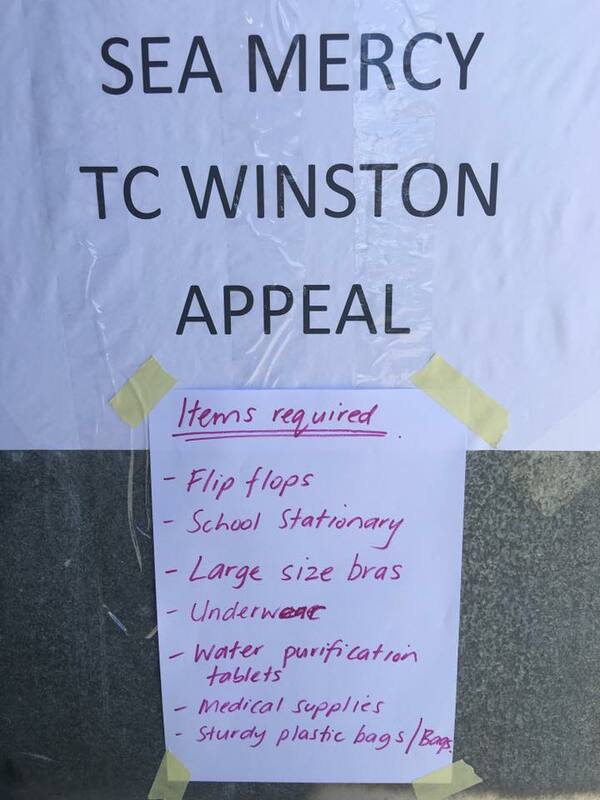 Following Cyclone Winston in Fiji, this is a perfect fit for a Global Grant. 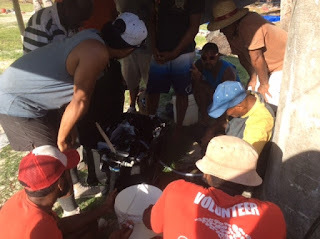 Help them reach their minimum goal so they can turn $7,500 into $30,000 to help the people to rebuild their lost communities and farms. 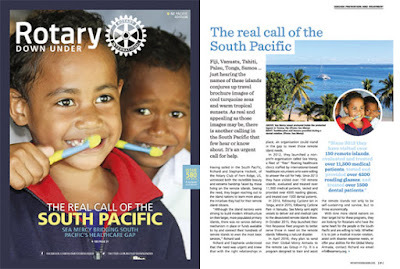 Follow this link to learn more about this Rotary program and how you can help! Seam Mercy is proactive in their approach to Distaster Relief and is able to respond quickly by having supplies on hand to immediately distribute. 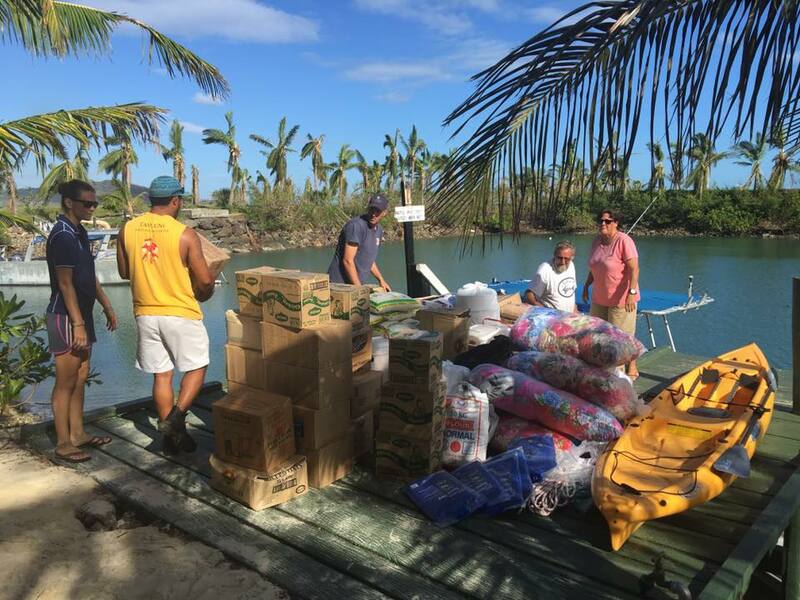 We have emptied our warehouse at Port Denarau several times in the wake of Cyclone Winston and are in need of essential supplies for the recovery of the remote islands. With the larger vessels bringing water-making support to the bigger remote islands (i.e. 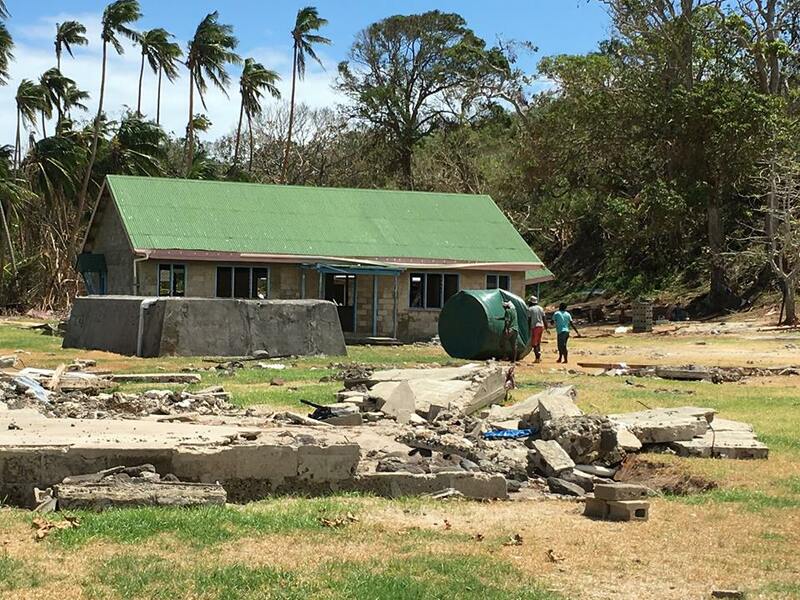 Koro, population 3,000+), Sea Mercy is focusing on the smaller islands that are often far down that priority list for assistance. 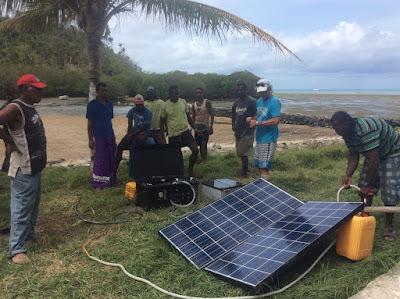 Batiki, population 300+, is one of the first remote islands that Sea Mercy has sent one of our solar watermakers to assist. 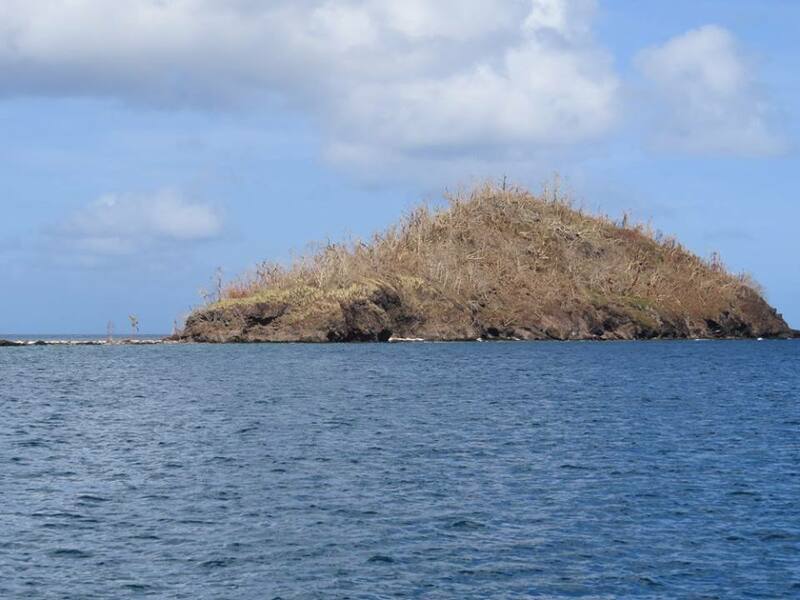 This will free up vessels to from delivering water, to assisting in the recovery and rebuilding of these remote islands. 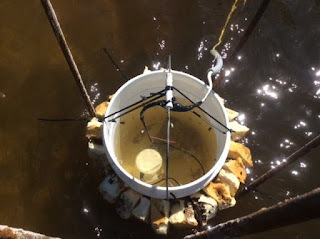 Below are a few pictures of the initial setup to test the unit and to train the local villagers how to maintain the unit, clean the filters, keeping the intake lines safe and secure, and the solar panels and batteries protected. 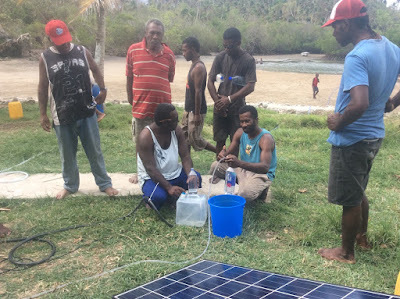 This solar unit (with battery storage to keep it running through the night) will produce over 1,000 liters of clean drinking water a day and help offset the risk of disease and devastation from waterborne illnesses. 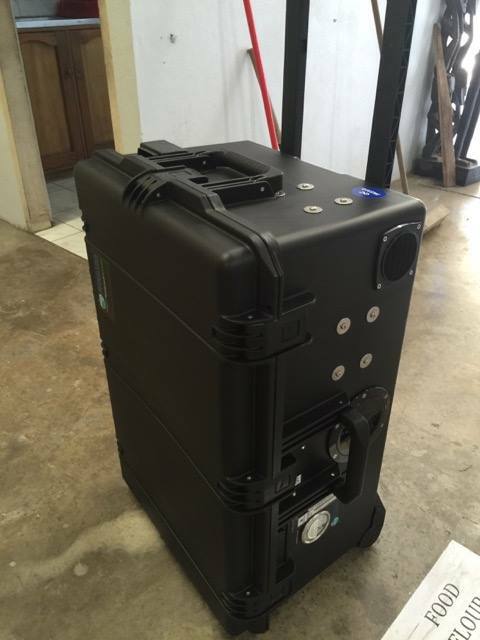 We currently have 7 solar desalination units left, one of those is on its way to Makogai Island for install. There are 40+ remote villages that are in need of clean water assistance, so any assistance you can provide to help us expand our water making capacity would be greatly appreciated. You can donate using the PayPal link on this page. Initial solar and desalination training for the islanders. 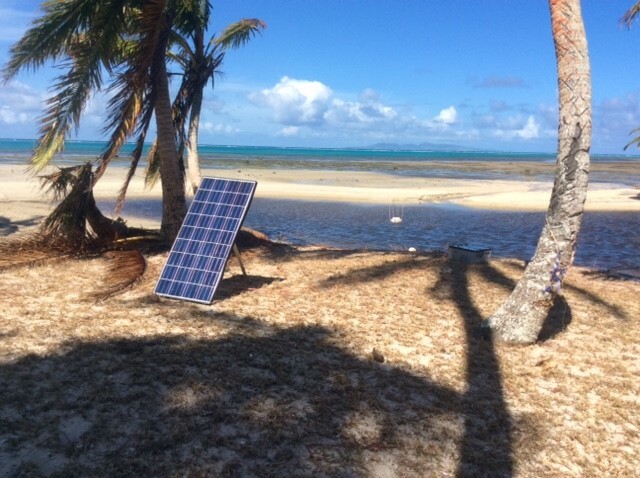 No fossil fuels needed and there is plenty of sun in Fiji. 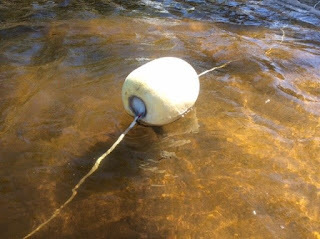 Keeping the water intake hose visible, elevated and safe from damage is vital. First fruits of their labor! 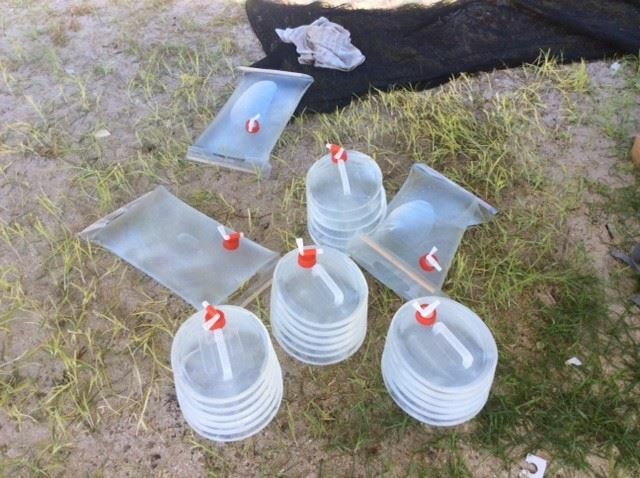 Water Emergency - Solar Water Desalination Unit Preparation! 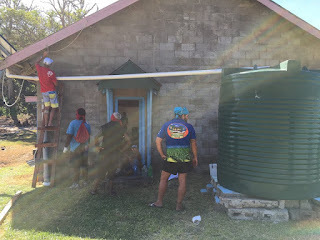 On most remote islands, over 90% of fresh drinking water comes from water catchment (rain flowing off the roof of homes, into gutters, and into water storage tanks). 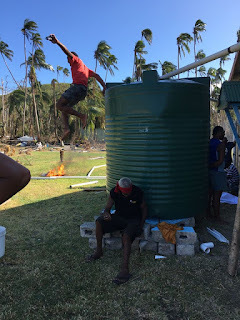 With the majority of the homes and roofs damaged or destroyed, islanders are currently forced to drink potentially contaminated drinking water from runoff ponds or pools. 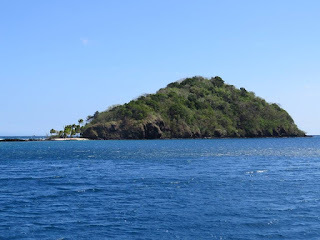 With the dry season quickly approaching (April through October) and without adequate water catchment and storage capacity, the risk of dehydration and waterborne illnesses on these remote islands will be very high. To address that growing concern, Sea Mercy has currently secured and retrofitting 7 desalination units to run on Solar power. 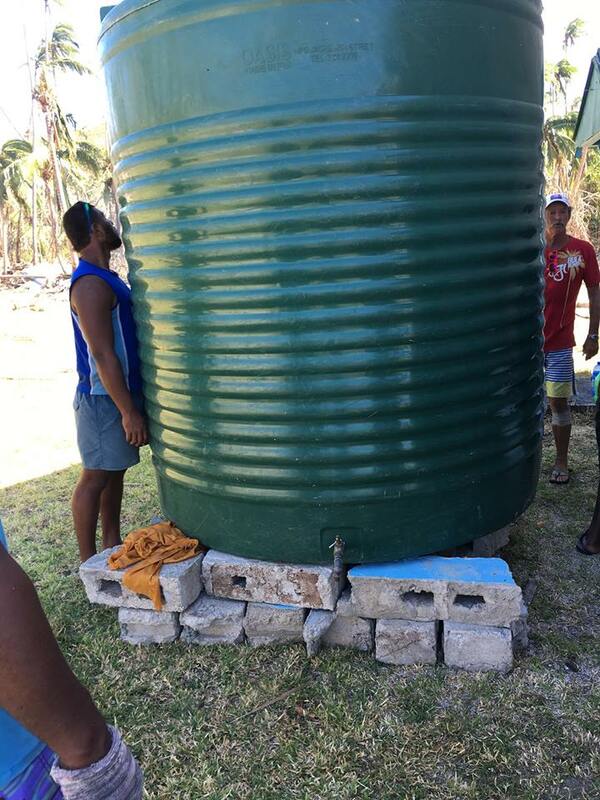 We will deliver them and additional storage tanks to the most at risk remote island communities at the earliest opportunity. Each unit can produce over 1,000 liters of clean drinking water a day, giving us the additional time needed to rebuild the water catchment capacity of each village. 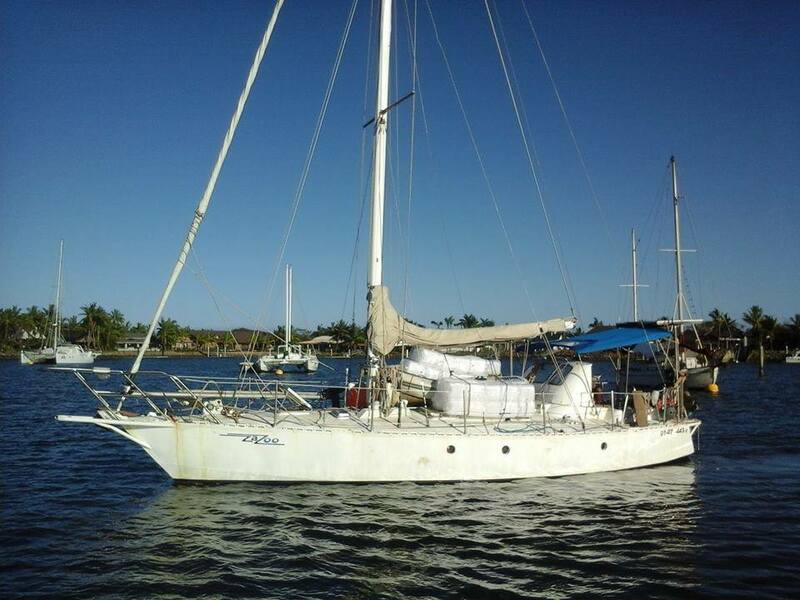 Our thanks to Jess & Sam at Kaleva Yachts and their supporters for helping us meet this incredible need. We already have one unit heading out to Batiki on Shine and these units are going to make a massive difference. 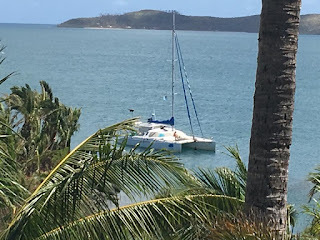 Great work by the team of Jeff and Patrick on S/V Shine who welded and repaired this tank on Batiki before setting up a rain catchment system - way to go guys!!! 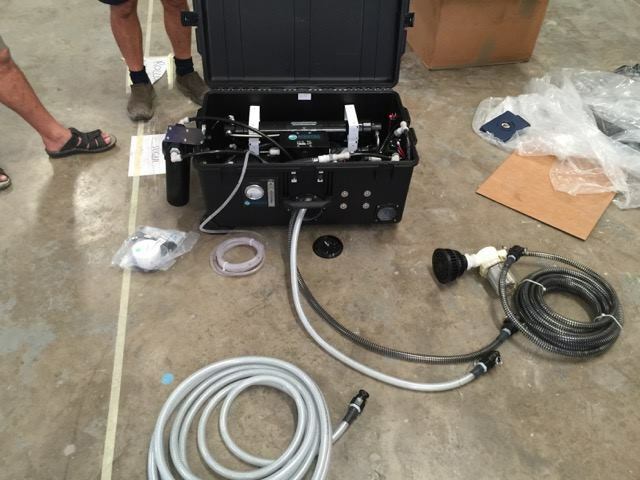 Now they are heading out with a watermaker to build a solar system to operate it and do the full installation. Amazing solar blow-up lights we test ran tonight. 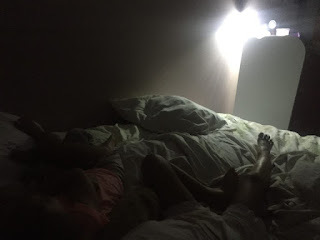 One hour in the sun, gave us light for bedtime stories and still going 3 hours later when we're going to bed. 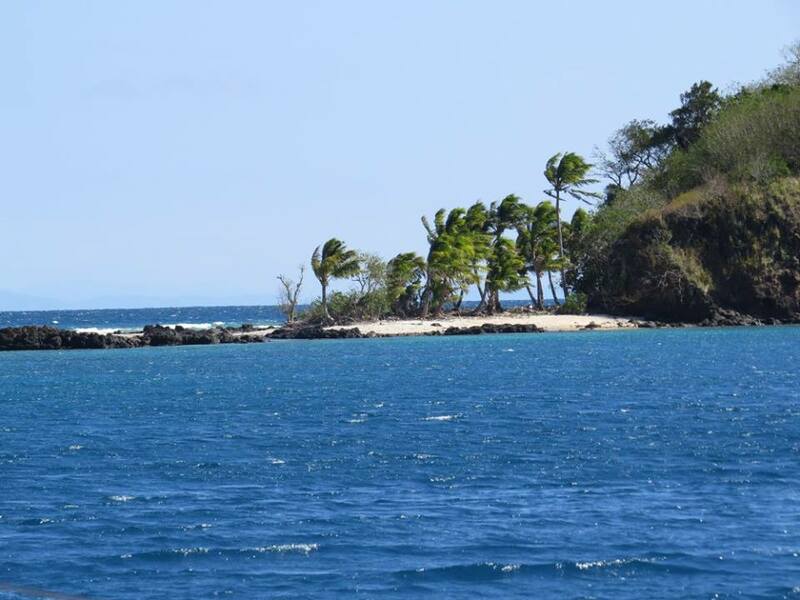 Sea Mercy has distributed at least 200 to remote Fiji islands and villages in the last 2 weeks! So proud to be part of such an amazing team that is making such a difference. Note: The Sea Mercy website has more information on how you can help distribute more of these handy lights in Fiji through their Give Light - Get Light campaign. 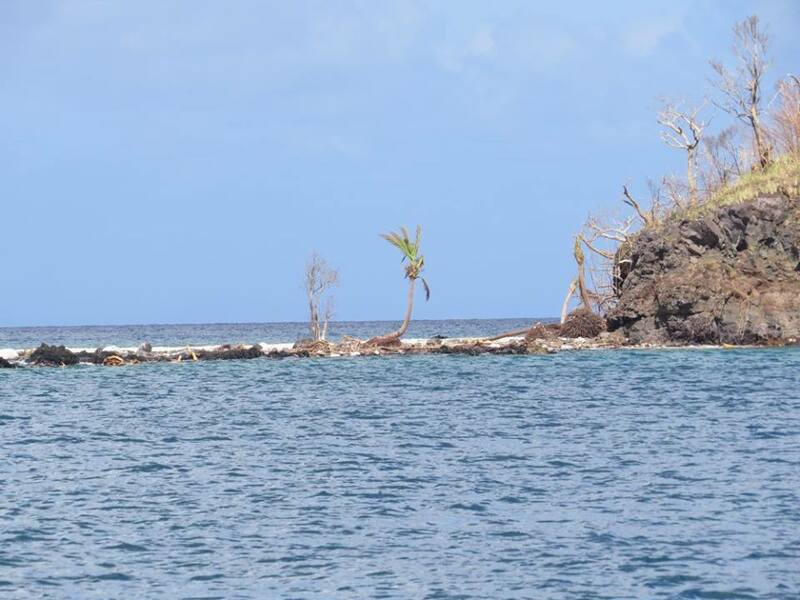 These "before" and "after" pictures of Makogai certainly tell more than a thousand words could about the extent of the destruction Cyclone Winston has left behind in Fiji. Many thanks to S/Y Skabenger for providing us with these photos. AFTER pictures are on the right. 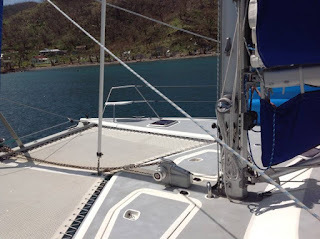 Restocked Wendy and Ian on S/Y Outsider at Wananavu today. They have a two day sail/motor ahead of them to reach more villages without supplies. 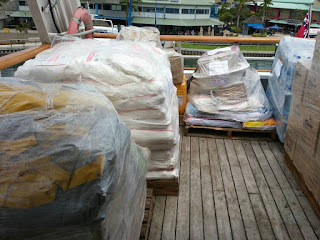 The food purchased locally with cash donations. Huge thanks to everyone! 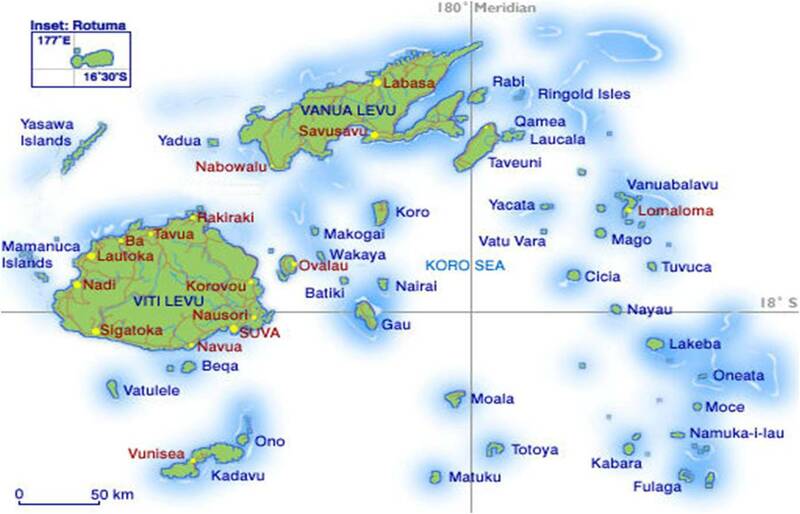 Note: S/Y OUTSIDER are headed to Narai on the request of Commissioner Eastern. Narai is an island in the Lomaviti Group with over 300 people directly hit who are still haven't received supplies or aid since last Saturday. As of tomorrow the Sea Mercy Warehouse will be open from 8:30 am - 12 pm Mon - Saturday. All donations are still welcome! If you would like to drop items off at the Warehouse outside these hours please call Tracey on 740 0049. 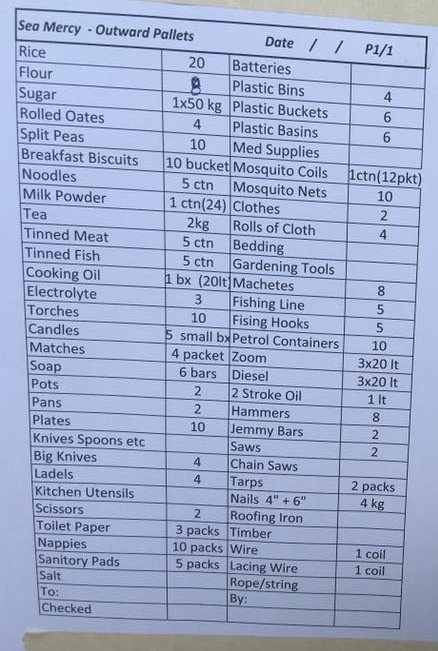 If you are travelling to Fiji and want to donate lightweight useful items, here a a couple of ideas. 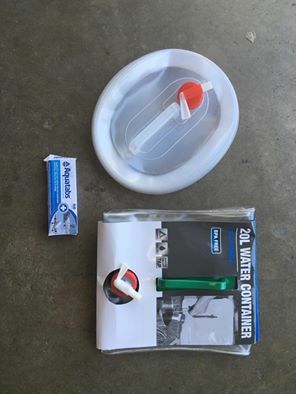 Portable water containers and purification tabs. We are collecting all donations for Sea Mercy First Response appeal. Our warehouse is located at the Port Denarau Marina. S/Y Outsider returned for resupplying to Elllington Wharf where Sea Mercy restocked them with hardware and building supplies. 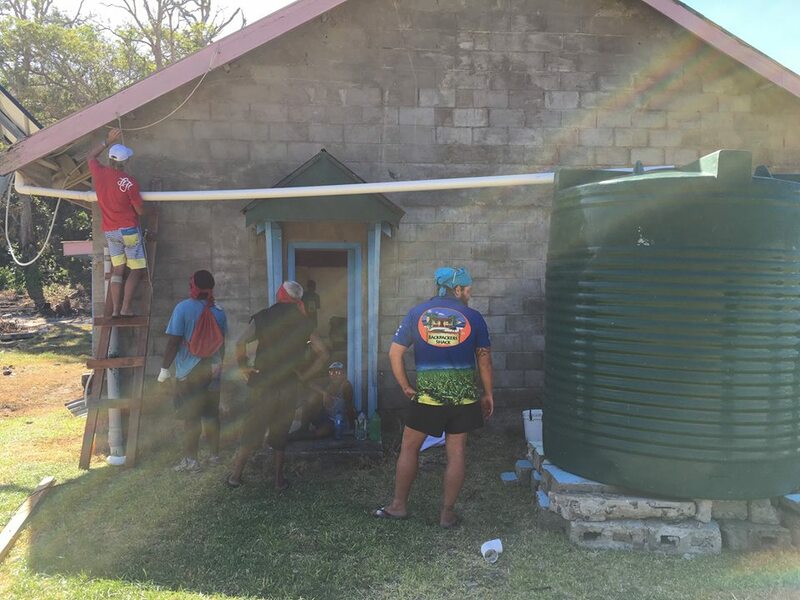 The mission objective for builder Ian is to work with the Makogai Island village to become self-sufficient for their water again by installing new guttering and providing a means of water catchment when the rain does come. Another one of the Sea Mercy fleet are waiting for spare parts then heading to Makogai to sit on anchor making water for the village. 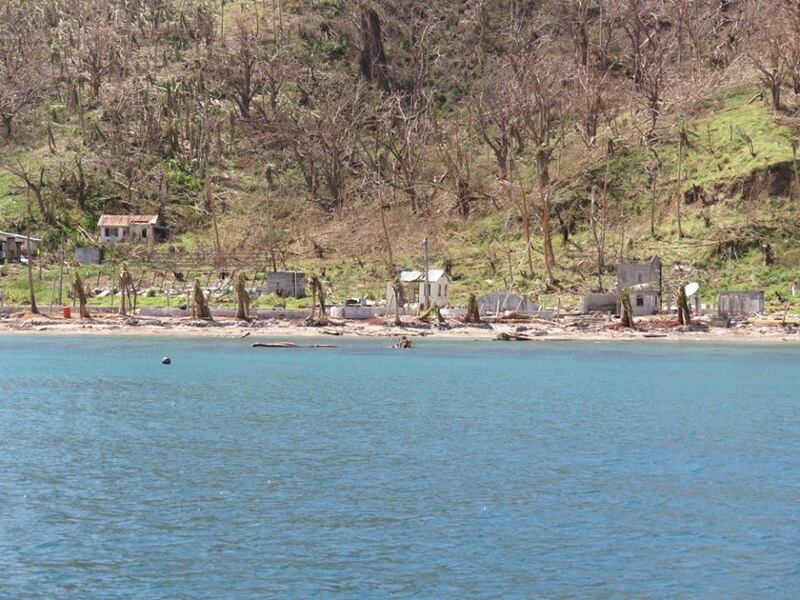 Sea Mercy had been receiving reports about villages that, as of today, have still not received any support. 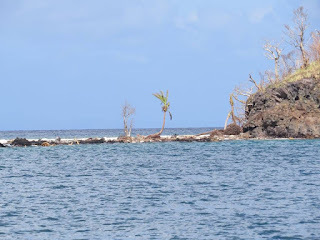 A chartered seaplane plus four Government officials identified that there are three Northern Ra coastal villages that are still completely cut off and have received no assistance. 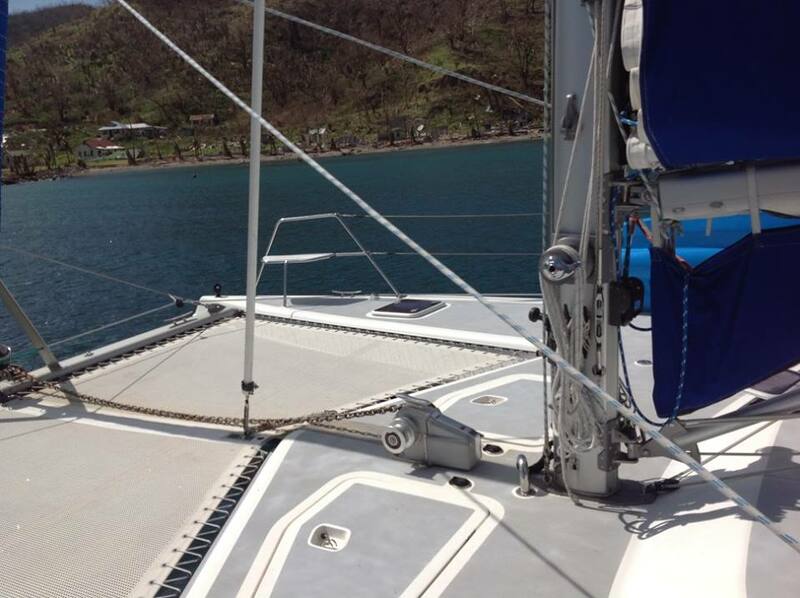 S/Y Zazoo – Juan, our charismatic Brazilian, has been chomping at the bit to get out and help wherever he can. A fully laden Zazoo left Denarau today heading for Ellington Wharf and will be directed to supply those coastal Northern Ra villages. In the same assessment flight, a group of interior hinterland villages were identified as being unvisited. Sea Mercy are working closely with Govt, Higgins (who are doing an AMAZING job clearing roads!) and Commissioner Western to supply these villages tomorrow. S/Y Shine – Shine had a successful trip from Makogai to Batiki and were met with tears of joy when they offloaded much needed supplies. Lauren our floating nurse met with local village health workers and assisted them in the assessment of the general health of the village. 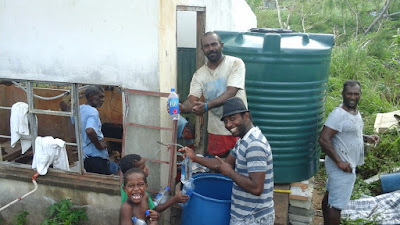 Again water is a huge issue for Batiki, and until water collection and storage solutions are found in Nagani the villagers cannot rebuild or return so have to remain hosted by Monoku village. Shine dropped off additional medical supplies to the hospital in Levuka before heading to the mainland to pick up Shelter Boxes for Batiki. The Nai’a has just departed for Tavenui this evening and has been loaded up with water purification tools, tents, shelter boxes and solar lights. Nigel has been working closely with RNZAF and was able to facilitate the Sea Mercy consignment which took up nearly 7 tonnes of the 8 tonne manifest! 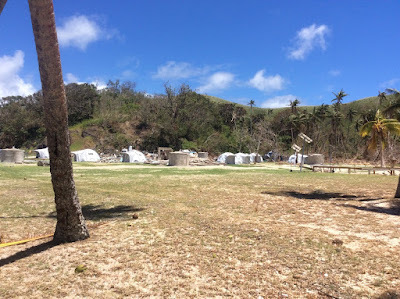 Temporary, solid accommodation in the form of robust tents are a key priority which will allow the rebuilding of stronger more structurally sound buildings. With Australia and NZ navy support arriving, Sea Mercy’s first response phase is drawing to an end. Now we are focusing on working with villages and helping them rebuild to become self-sufficient again. Once again – thank you everyone who has donated to the Sea Mercy Fiji cause. 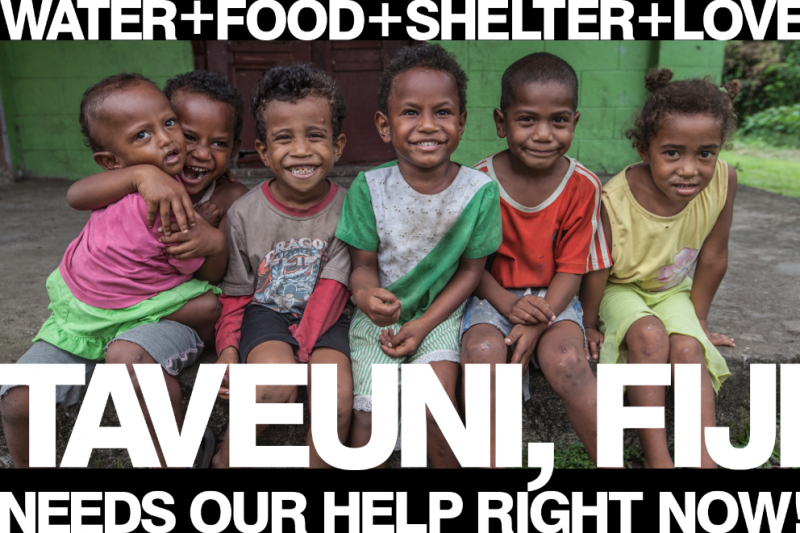 The money and goods you donate are going directly to those who so desperately need it throughout Fiji. 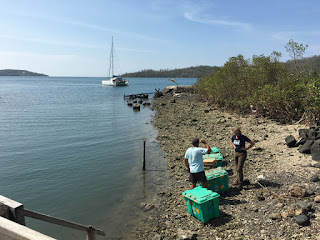 For all our amazing volunteers, those on our fleet of vessels and those busily organizing our immaculate (but incredibly hot) warehouse – vinaka vaka levu. None of our amazing achievements would be possible without you. Amazing what things can happen in a week! One week ago today, Sea Mercy Fiji response was activated. The next day the first of our volunteer vessels had been dispatched. Since then, Sea Mercy Fiji has received and distributed over $50,000 worth of supplies to remote islands and villages who were badly affected by TC Winston. 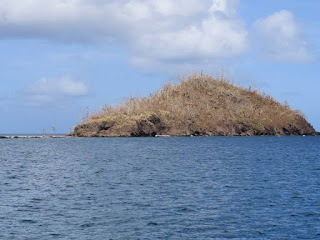 Sea Mercy has been the first response to Makogai, Batiki, 6 remote villages in Northern Ra and Viwa Island in the Yasawas. 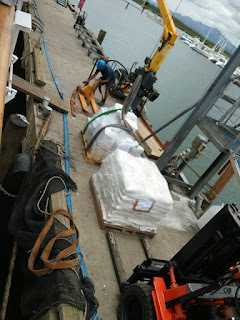 Today, Sea Mercy loaded Reef Endeavour with supplies for Savusavu, Taveuni and Lau. All Sea Mercy missions also took out tarpaulins, rope, water purifying units, basic building materials and medical supplies. 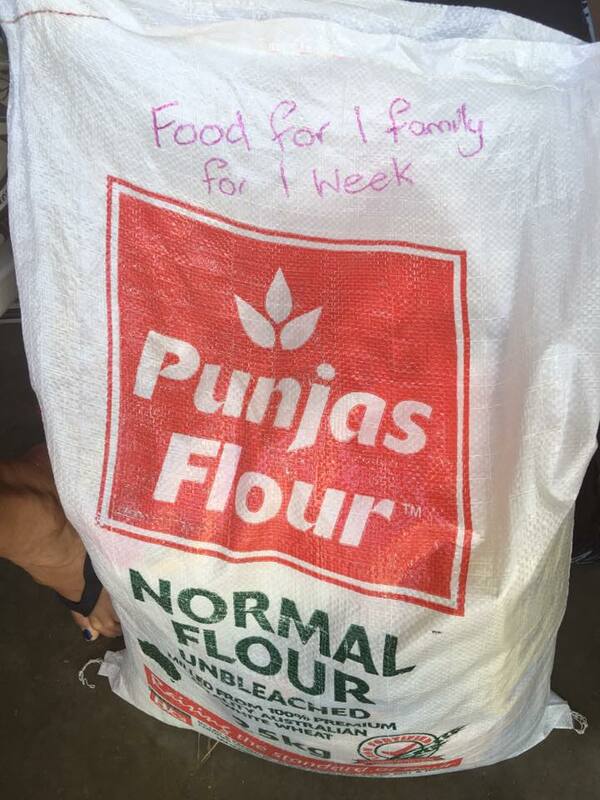 Posting Note: You can help with this urgent need even if you are not in the local area. 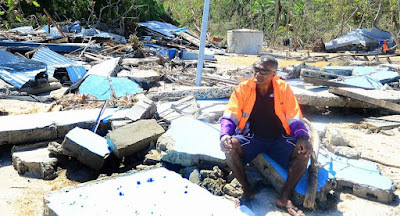 Your monetary donations go directly to Sea Mercy Fiji and are immediately available to purchase needed supplies as well. Use the Paypal link on this page to help restock our warehouse and continue to get emergency supplies to those who need it.